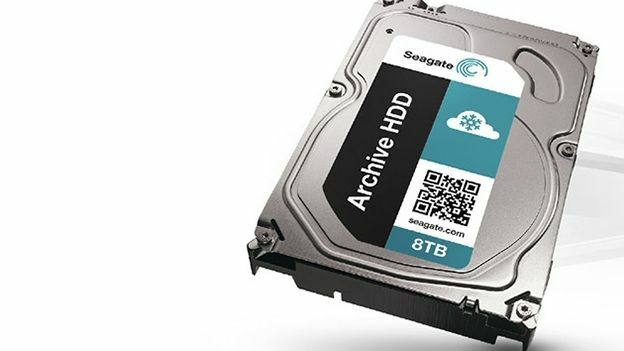 How much do you think an 8TB 3.5-inch hard drive will cost you these days? £1,000? £500? Well you'd be wrong, because Seagate has just launched a new 3.5 inch a terabyte hard drive for just $260 or £165 in the Queen's money. That's a damn sight cheaper the other 8TB hard drives currently available on the market, such as HGST's $1,000 offering. However, don't be getting excited about cramming even more games, movies and television shows on to your hard drive. That's because the new drive is part of Seagate's new Archive HDD range. Where as the average SSD has a read speed of 550 MB/s, Seagate's new drive only has a read speed of 150MB/s. That's not really surprising considering this driver is meant more as a way of backing up data and your content long-term rather than something you would store stuff on for everyday use. That doesn't detract from the fact that at two pence a gigabytes, it's one hell of a cheap way to keep your movies, pictures and over contents safe long-term. And if 8TB is too much for you, Seagate also has a 6TB and a 5TB option in the range. There's still no word on when they will be going on sale in the UK but they do go on sale in the US from January.